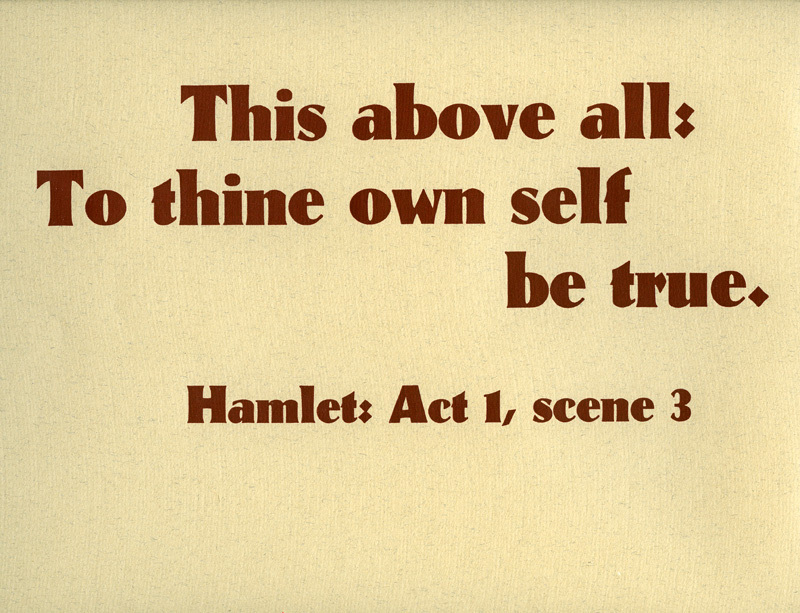 The classic verse of empowerment from Shakespeare's Hamlet stands out boldly when printed from historic metal type at the RIT Cary Collection. This broadside is typeset in Eve Heavy, designed by Rudolf Koch in the early 1920s for the Klingspor typefoundry. It is printed on a fine quality tan laid paper, suitable for framing.